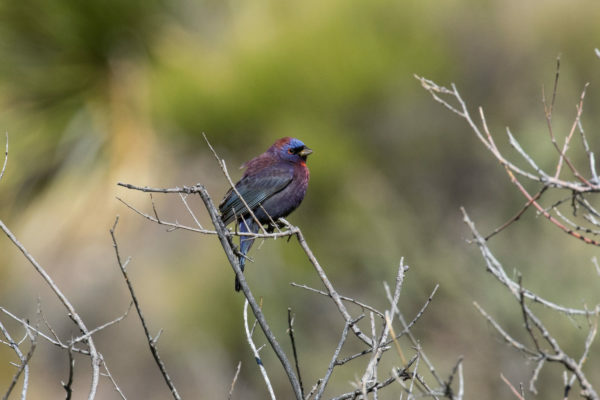 Join Red Hills Birding in Southeast Arizona an area that ranks high on many birders’ lists as the country’s top birding region. With numerous range-restricted species in beautiful mountain and desert landscapes, it’s no mystery why. This itinerary will allow you to soak in many of the ecological wonders Southeast Arizona has to offer. From the deserts of Tucson where we will get familiar with common specialties of the Sonoran Desert through three distinct “sky island” mountain ranges where birds like Elegant Trogon and Red-faced Warbler abound, we’ll get a thorough sampling of the best the region offers. Our itinerary will take us to the Chiricahua, Huachuca, and Santa Rita Mountains, and such fabled hotspots as Cave Creek Canyon, Ramsey Canyon, and Patagonia. Southeast Arizona in August – known as the second spring due to the monsoon rains that come through and green the desert at that time – is hard to beat. Birds abound as the land comes alive with occasional rains storms, and this itinerary is sure to net many of the highly sought-after species in this region. This is the time of peak hummingbird diversity—we could see ten or more species—and is a great time to find other regional specialties like Olive Warbler, Mexican Chickadee, Painted Redstart, Rose-throated Becard, Whiskered Screech-Owl, Sulphur-bellied Flycatcher, Black-capped Gnatcatcher, Thick-billed Kingbird, and many others.